Lauding Prime Minister Narendra Modi for improving sanitation in the country through the Swachh Bharat mission, Microsoft co-founder Bill Gates said now is the time to build on the success of the..
▶ Videos for "Swachhata Hi Seva"
New Delhi, Sep 17 (ANI): Minister of State for Home Affairs Kiren Rijiju attended ‘Swachhata Hi Seva Abhiyan’ at 22nd Bn ITBP camp. He joined Indo-Tibetan Border Police (ITBP) personnel to..
Poonch (Jammu & Kashmir), Sep 16 (ANI): Poonch District Development Commissioner Rahul Yadav and Poonch administration has organised ‘Swachhata Hi Seva Campaign 2018’. 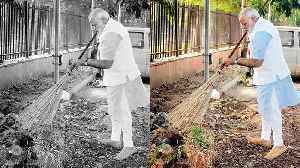 The campaign kick..
Prime Minister Narendra Modi swept and cleaned the premises of Baba Sahib Dr. Ambedkar Higher Secondary School in Delhi's Paharganj as a part of ‘Swachhata Hi Seva Abhiyan’. 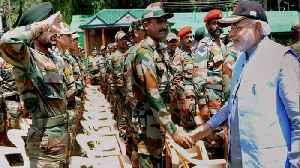 Swachhata Hi Seva Movement: PM Modi extends regards to ITBP personnel for participation. Prime Minister Narendra Modi on Saturday launched the 'Swachhata Hi Seva' movement. 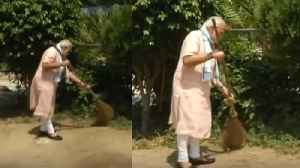 PM Modi also interacted with..
PM Modi sweeps, cleans the premises of Baba Ambedkar School under Swachhata Hi Seva Program . In the above video, PM Modi promotes the cleanliness and motivates people to maintain it. 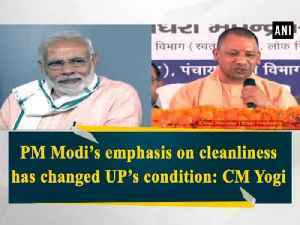 Watch the above..
PM Modi’s emphasis on cleanliness has changed UP’s condition: CM Yogi. Prime Minister Narendra Modi on Saturday launched the ‘Swachhata Hi Seva’ movement. 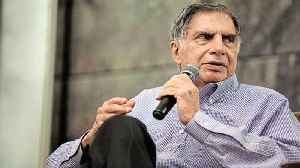 The campaign for a..
Tata Trust is actively supporting 'Swachh Bharat Mission': Ratan Tata.Prime Minister Narendra Modi on Saturday launched the 'Swachhata Hi Seva' movement. Speaking at the event, Tata Trusts Chairman,..
New Delhi, Sep 15 (ANI): Prime Minister Narendra Modi on Saturday launched the ‘Swachhata Hi Seva’ movement. The campaign for a ‘Swachh Bharat’ will now be made into a movement..
New Delhi, Sep 15 (ANI): Prime Minister Narendra Modi on Saturday launched the 'Swachhata Hi Seva' movement. The campaign for a ‘Swachh Bharat’ will now be made into a movement..
PM Modi interacts with students at Baba Sahib Ambedkar School during Swachhata Hi Seva mission. 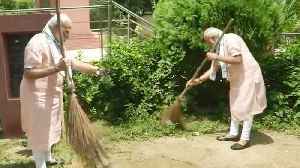 PM Modi started a Swachhata Hi Seva mission and started a sweep in Delhi's school. 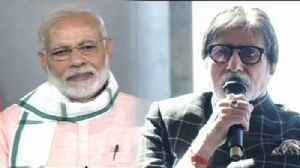 PM Modi also met the..
Amitabh Bachchan took part in Swachhata Hi Seva Program. During Video Conferencing, PM Modi was praised by Amitabh Bachchan and he also supported the Swachh Bharat Mission. 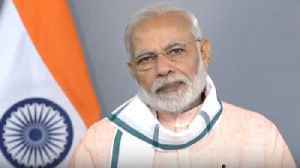 Watch the above video and..
PM Modi launches Swachhata Hi Seva Movement and asks people to dedicate towards Clean India. In the above video, we have disclosed that PM Modi motivates Indians towards cleanliness . 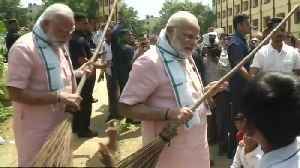 Watch the above..
PM Modi started the cleanliness service mission. Meanwhile, PM Modi also wrote a letter to 2000 thousand people for the dialogue. After Modi's speech, after the dialogue, he reached Jharkhand's doctor.. Contribution of Nari Shakti in ‘Swachh Bharat Mission’ is immense: PM Modi. Prime Minister Narendra Modi on Saturday launched the 'Swachhata Hi Seva' movement. The campaign for a..
‘Swachh Bharat’ became part of Indian citizen: Amitabh Bachchan. Prime Minister Narendra Modi on Saturday launched the 'Swachhata Hi Seva' movement. 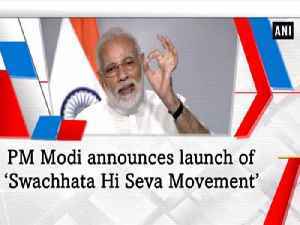 The campaign for a ‘Swachh..
New Delhi, Sep 12 (ANI): Prime Minister Narendra Modi on Wednesday announced the launch of ‘Swachhata Hi Seva Movement’ from September 15. 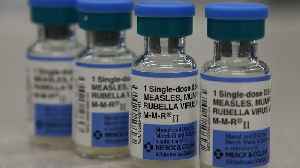 The movement will be launched to mark the.. 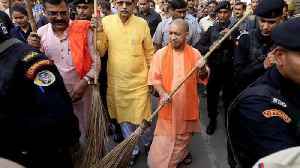 The Centre has asked all departments under it to undertake cleanliness drive on their premises, according to an official communique. All central government employees have been asked to contribute.. Contributing to Prime Minister Narendra Modi's 'Swachhata Hi Seva' campaign in a unique way, Khadi India has launched a designer carry bag made from a mix of plastic waste and paper pulp, a senior..
Isha Foundation founder Sadhguru Jaggi Vasudev Sunday said the reason for hue and cry over unemployment was because of people's preference for one kind of a job, when there were many others..
PM Modi today launched "Swachhata Hi Seva" movement. Cricket is all set to return to paradise! Thanks to Jammu and Kashmir governor Satya Pal Malik, the terror-plagued state is pitching to have its own team in the Indian Premier League (IPL). Malik is..
At the launch of 'Swachhata Hi Seva' campaign at the Sher-i-Kashmir International Conference Centre (SKICC) here, the state was self-declared as ODF by the Governor, an official spokesman said. 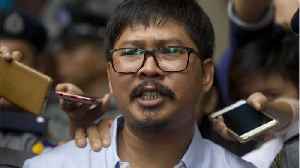 He launched the "cleanliness is service" exercise to push for greater public participation in one of his government's centrepiece programmes launched on October 2, 2015. 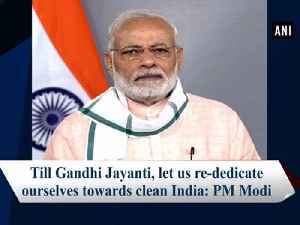 Launching the "Swachhata Hi Seva" campaign, Prime Minister Narendra Modi said Saturday all sections of society and every part of the country have joined the cleanliness drive as he noted few would have.. Launching the "Swachhata Hi Seva" campaign, Prime Minister Narendra Modi said on Saturday all sections of society and every part of the country have joined the cleanliness drive. He wrote on Twitter: "Contributed to Prime Minsiter Narendra Modi's 'Swachchata Hi Sewa' campaign with good folks of Hariyana." Prime Minister Narendra Modi on Thursday lashed out at the Congress for its inability to function either as a ruling party or as an opposition member. 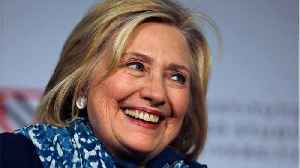 "Over the past four years, the Congress has.. In a series of tweets, prime minister Modi further urged everyone to be a part of this movement and strengthen the efforts to create a 'Swachh Bharat'. Mumbai (Maharashtra) , Oct 2 : As part of 'Swachhata Hi Seva' campaign, the ICICI Bank on Monday announced that it will be organising multiple sanitation, health and hygiene training modules across the..
New Delhi : The Prime Minister, Shri Narendra Modi, on the third anniversary of the Swachh Bharat Mission, the Swachh Bharat Diwas, and the conclusion of Swachhata Hi Seva fortnight, gave away the..
New Delhi : The Prime Minister, Shri Narendra Modi, today addressed an event to mark Swachh Bharat Diwas: the 3rd anniversary of the launch of Swachh Bharat Mission, and the conclusion of "Swachhata hi.. The Indian footballers and the support staff took part in the 'Swachhata Hi Seva' campaign in Mumbai. New Delhi : Under the ongoing Swachhata Hi Seva (SHS) campaign, Department of Personnel & Training (DoPT) has installed Sanitary Napkin Vending and Disposal machines in the three ladies washrooms..
New Delhi : Minister for Science and Technology and Earth Sciences and Environment, Forest and Climate change, Dr. Harshvardhan inaugurated an exhibition on Swachhata Hi Seva, organized by Ministry of.. 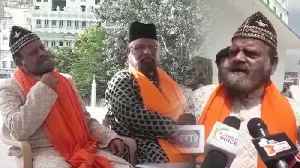 Renowned saxophonist Kadri Gopalnath has accepted the offer by Prime Minister Narendra Modi to join hands with the government in the 'Swachhata Hi Seva' movement and has decided to contribute for the..
Srinagar, Sep 25 : Bilal Dar, a young boy from Srinagar has become the brand ambassador for Srinagar Municipal Corporation. Dar has been contributing to the 'Swachhta Abhiyan' since the age of 12. He..
New Delhi , Sept. 24 : Prime Minister Narendra Modi on Sunday expressed his happiness over the widespread support for 'Swachhata Hi Seva' movement and thanked media for furthering the message of.. The nation wide Swachhata Hi Seva campaign is now entering its second week.The inaugural week saw a wave of cleanliness activities across the country. Apart from Rahane, actors Rajinikanth, Akshay Kumar, Anushka Sharma and former cricketer Sachin Tendulkar have also pledged their support to the movement.